The foundation of every home renovation project is professional plumbing. It’s much less expensive in the long-run to do your plumbing right in the beginning. Don’t trust critical plumbing jobs to outsourced contractors. Get it done correctly with A Better Way. 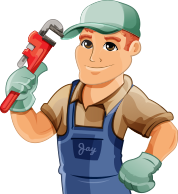 If you are building a new house, or completely renovating an old one, A Better Way Plumbing & Heating Calgary can take care of all the plumbing renovations. We’re experts in water main replacements, sump pump services, water and gas pipe installation or replacements, appliance installations, gas barbecue hook ups and everything else you can image. A Better Way can do all your plumbing and heating services so you don’t have to worry about anything.